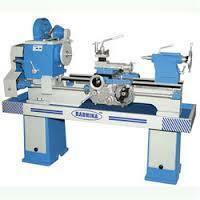 We have marked a distinct position in the market by providing high quality range of CNC Machine Job Work. Using premium quality components and innovative techniques, the provided machine is manufactured under the strict vigilance of dexterous professionals in tandem with predefined industry norms. Precision Aluminium Castings with high precision machining manufacturing facility available. GAP is an industry leader in the design, development and production of precision engineered aluminum casting, aluminium alloy casting, etc. Over the two decades since our foundation, we have established an impeccable reputation in the industry for quality & excellence. Our range includes Castings Of Domestic Appliance, Die Castings, Machinery Parts Die Castings, Sanitary And Furniture Castings, Metal Die Castings and Automobile Castings etc. Aided by the latest digital tools, we have the capability to design and develop cost-effective components in a speedy and efficient manner. We can work on anything, from sketches to existing products like aluminium alloy casting, aluminum die casting, etc. and develop components that not only ensure reduced production costs but also ensure precision and accuracy to suit the customers needs. With cutting-edge technologies & production techniques, we have bench marked industry standards on delivery and quality on a sustained basis. We are the one-stop-shop for all your casting needs and components for automobile, textile machinery, pressure valves, compressors etc.